Did you know that Massachusetts is a leader in the protection and recovery of the Piping Plover, a threatened shorebird that nests on beaches from North Carolina to Newfoundland? In 1986, the Atlantic Coast plover population was listed as threatened by the U.S. Fish and Wildlife Service with only about 800 breeding pairs. Massachusetts also listed the Piping Plover as threatened pursuant to MA Endangered Species Act, with an estimated 140 breeding pairs present in 1986.
implement beach management measures to aid Piping Plover recovery. This commitment to Piping Plover management in accordance with guidelines developed by MassWildlife has led to a significant increase in the Massachusetts Piping Plover population. From 1986 – 2013, the population increased from an estimated 140 to 652 breeding pairs. Because of this progress, Massachusetts now supports about 37% of the Atlantic Coast plover population. All of this is great news; however, a healthier Piping Plover population can lead to greater challenges for beach managers trying to effectively manage habitat alongside recreation. For example, there are increasing incidences of Piping Plover nests in busy beach parking lots or chicks attempting to cross active roads. In these cases, avoiding all “take” (harm or mortality) has resulted in significant disruption of recreational beach use (e.g., parking lot or road closures). A larger population is also characterized by increased numbers of late-season nests, resulting in restrictions during the busy summer recreational season. This situation threatens to erode community support for Piping Plover conservation, potentially jeopardizing the progress towards Plover recovery. In order to ensure that Massachusetts continues to be a leader in Piping Plover conservation while maintaining and improving the public access, recreational opportunities, and economic activity associated with the Commonwealth’s beaches, MassWildlife is working to develop a Statewide Piping Plover Habitat Conservation Plan (HCP). This plan is written with input from stakeholders including local, state, and federal government; landowners; beach managers; non-governmental environmental organizations; and beach user groups. 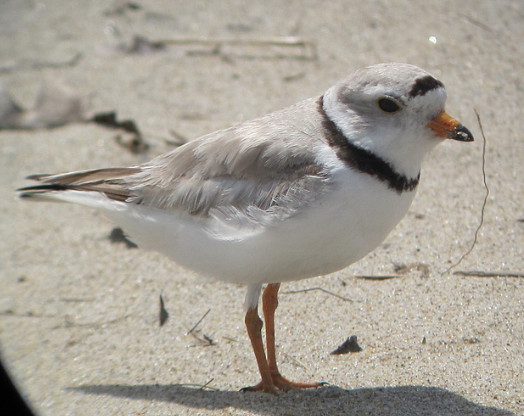 MassWildlife is pleased to be working cooperatively with beach managers on this important initiative to advance Piping Plover conservation in the Commonwealth while maintaining and improving recreational opportunities associated with our beaches.